Today was nearly 100 degrees in NYC so we hit the beach. 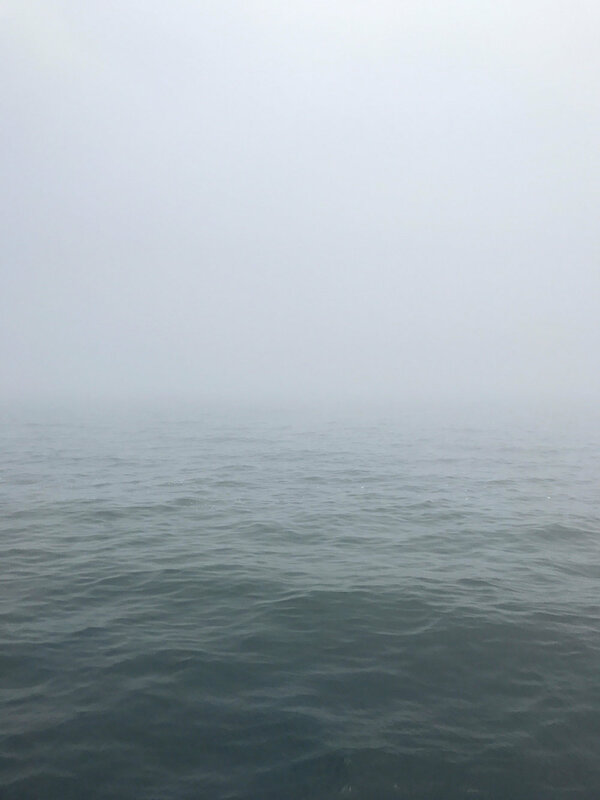 Here's a foggy seascape from our ferry ride over to Rockaway beach. It got quite lively today during the Colombia and England round of 16 World Cup match.